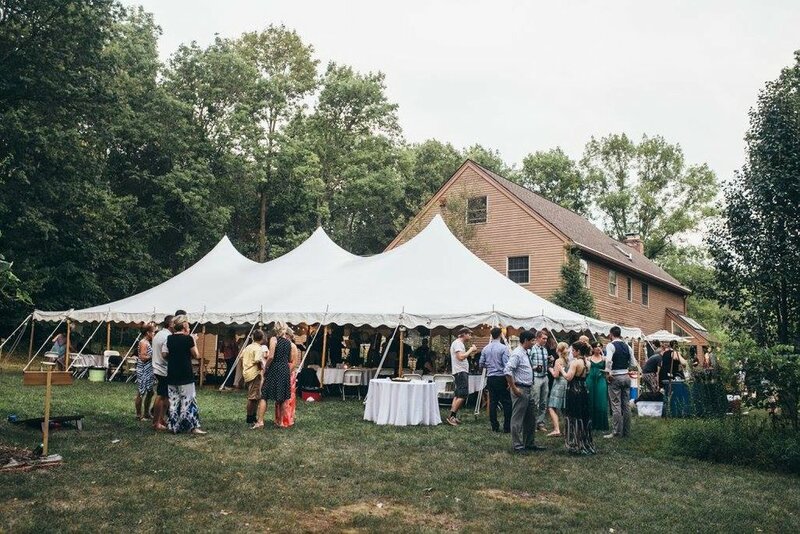 Looking for a tent for your event in Annville, PA? Let Tents For Rent provide a stylish tent for the perfect backdrop for your outdoor wedding, party, corporate event, and other celebrations. A pleasant town like Annville is the ideal site for your special day, and while we can’t always determine the weather, we can provide the equipment you’ll need to brave the rain, snow, and more. Feel free to explore the wonderful village of Annville during your stay in the area. There’s always something to do in town, and your event will be as exciting as your surroundings. No matter the occasion, our staff is here to help create a fun experience for you and your guests. Check out our wide range of rentals: tents, tables and chairs, lighting, power, linens, flooring, and more. For your convenience, we offer variety in our selection of equipment; one example is our wedding tent rentals come in many sizes, our chairs come in numerous styles, and the possibilities continue from there. Everything is clean, reliable, and ready for your special occasion. Call us at 717.733.9700 or get a quote today on our tent rentals in Annville, PA. From visualizing your day to setting up and taking down equipment, we’ll be there during every step of the process. Best of all, when you rent tents and more from us, your guests will stay dry, comfortable, and most importantly, happy to celebrate with you.